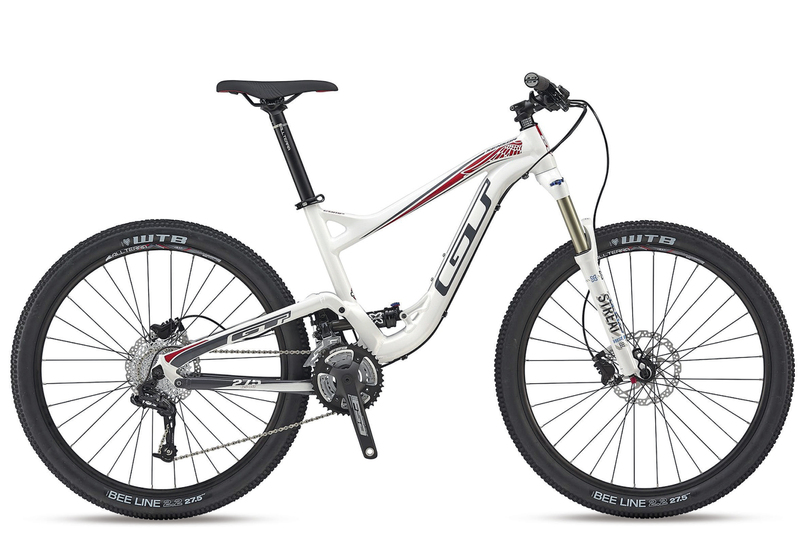 The GT Sensor is a 130mm trail bike with 650b wheels. 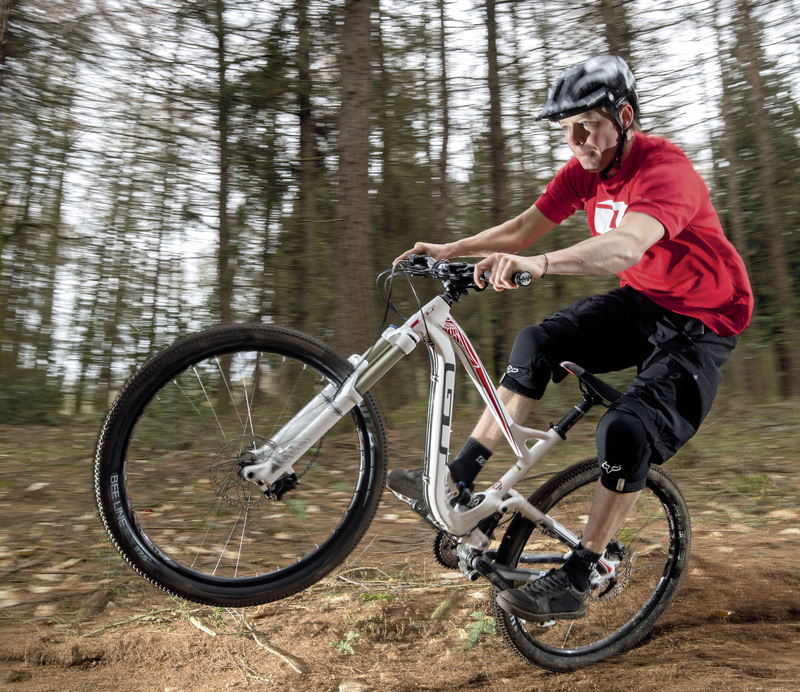 The frame offers great standover clearance, where GT’s Angle Optimised Suspension layout places the shock and linkage low in the frame to move the bike’s centre of mass closer to the ground and improve stability. That’s not the whole story though. The 68.6° head angle on the Sensor is a little on the steep side for a 130mm trail bike, and, paired with a relatively short front triangle, the GT has the shortest — and therefore least stable — wheelbase on test. GT has made some tweaks to the frame for 2015, the main one being that the aluminium swingarm has been pared down. It now uses much less of a girder-like construction, and this helps contribute to a significant weight saving over the pricier Sensor Elite model we tested last year. GT uses a high main-pivot location for its Angle Optimised Suspension design, to deliver a rearward axle path that better allows the rear wheel to ‘get out of the way’ of bumps. To offset the pedal kickback associated with the higher pivot, the chainset and BB ‘float’ on the forged Pathlink that’s anchored to the front triangle. So, as the suspension compresses and the wheel moves back, the Pathlink (and BB) rotate rearward to compensate. Ignore the geekery though; it gives better bump rollover without doing anything too weird while pedalling. X-Fusion provides the damping at both ends, and a frame sag indicator helps dial in the correct air pressure on the partly hidden 02 RL shock. After the bedding-in period, the Velvet fork offered good tracking and sensitivity, but it lacks control and support in the damping department: the rebound range is skewed to light; meaning heavier riders running higher air pressures will struggle to get enough rebound damping. With a 70mm stem and a great-shaped 740mm handlebar the cockpit on the Sensor is easily the best in test. The SRAM X5 shifters and derailleurs, combined with a flexy mech hanger, made for less than accurate shifting though, with ghost shifts causing the chain to jump across cogs while pedalling. Slick, fast-rolling, WTB BeeLine tyres are a very optimistic choice for the UK, and the lack of edge knobs on the front made it dicey in the wet, even when taking it easy. After a couple of shakedown rides the spokes started to work loose, making the bike feel very flexy. Still, a quick trip back to your dealer would have this fixed in under five minutes. A highlight of the Sensor’s performance was how well it carried speed and maintained momentum: small bumps were gobbled up without fuss along undulating terrain, and at speed down rough descents this 130mm bike felt smoother and held its speed better than many with more travel. The Shimano M396 brakes worked great, but we noticed the GT’s suspension didn’t function as well when dragging the back brake down steep chutes; the rear wheel bouncing and skipping more than a Giant Trance Al Comp or Specialized Camber. 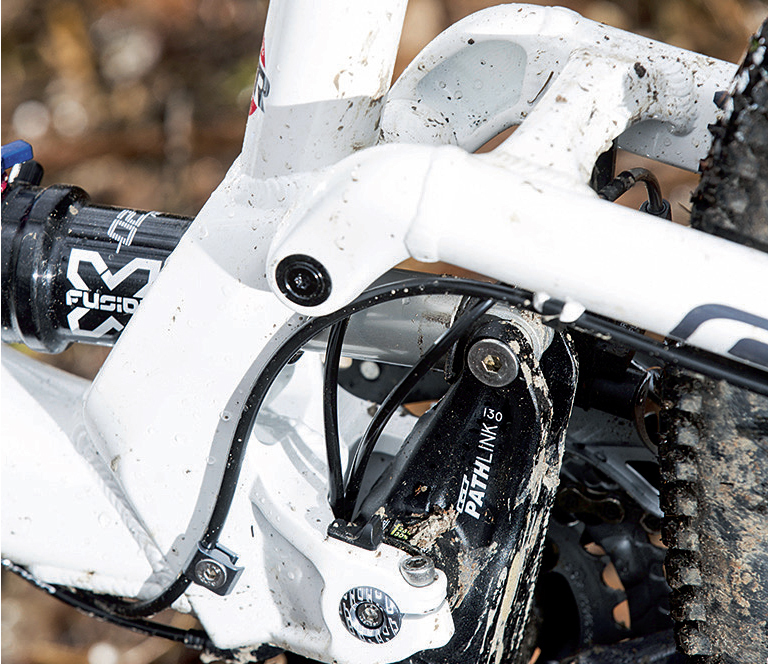 There’s a bit of suspension pulsing under strong pedalling efforts when climbing and, combined with the slow-engaging freehub, some lag when injecting a quick burst of power to crest a rock or boost over some roots. Just be careful not to ground out the dinner-plate 42t chainring fitted to the triple chainset in the process. For grinding up smoother climbs, the X-Fusion shock sports a very firm lock-out, it’s a bit of a stretch to reach the lever though. Even with its steeper head angle, the Sensor doesn’t feel that precise or responsive when changing direction. The tyres play a big part, but it could be that slimming down the swingarm to save weight has made the bike feel less precise. GT’s Angle Optimised Suspension is a mouthful, but in terms of gobbling up the bumps it has an insatiable appetite. As a result, the 130mm travel Sensor keeps on trucking, even on the roughest terrain, making it efficient to ride and very fast downhill. To fully exploit this potential for speed, the steering geometry could do with being a little more relaxed. We’d also like to see more versatile tyres and a less clattery drivetrain. 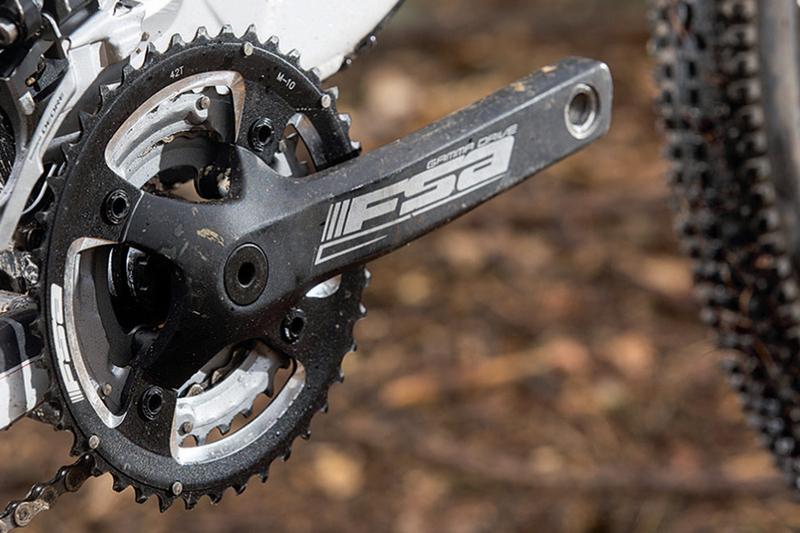 With these simple changes the GT Sensor AL Comp would be a great, lightweight trail bike.